In 2017, nearly 8.7 Americans took out a personal loan. In this report, the needs for these loans were listed as being almost as diverse as the population of this country. Millennial-aged people, baby boomers, and everyone in-between took out loans for emergencies, bills, tuition, debt consolidation, and more. But the biggest reason listed for personal loans being taken out? Car purchases. Unless you live in a city with reliable public transportation, it is nearly impossible to live without a car. Cars are required to get to and from health appointments, to visit family all over the country, to get food and to get to work. There’s no getting around the fact that transportation is necessary. However, transportation is also expensive. The average United States citizen pays a little over $8,000 toward car ownership each year – which goes toward maintenance, gas, and other car-related expenses. And while this number is mostly manageable over a spread out period, if you asked someone if they had $8,000 savings in case they needed to get a new car, the answer would most likely be no. This is concerning, as most think that credit would be the best option if they needed this amount of money quickly. Unfortunately, unless your credit is excellent (which, statistically, is only 60% of the population), you’ll find yourself stuck without a way to make significant car repairs or get a new car if something goes wrong with yours. Since most car insurances don’t cover the cost of basic maintenance and car replacements in the event of an accident are hopeful at best, it is always best to have a backup plan. If you live in Kansas City, St. Joseph, or Gladstone, Missouri or Overland Park, or Kansas City, Kansas, Midwest Title Loans can help you get a title loan for your next big purchase. Do I Really Need a Title Loan? Title loan customers are as diverse in backgrounds as they are in needs, and chances are if you are asking yourself this question, you probably need a title loan. Title loans have a reputation of being for a particular set of people – usually those with bad credit. The reason that title loans are portrayed as being only for people with bad credit is that they are an excellent option for those who have poor or no credit. Title loans do not require credit scores because they use physical collateral rather than your credit score as verification that you will pay your loan back. For those who need a loan but cannot get it because of their credit score, this offers them the perfect lending option. Not only does it help them build their credit score back up, but it also allows them to pay back a loan in a much quicker time than they would a traditional loan. Therefore, if they intend to take out a title loan to raise their credit score, they can do so in a relatively low amount of time provided they make all their payments on time and per the terms of the agreement. In the event of an emergency, there is not always time to wait for a traditional credit-based loan. In most cases, title loans are available to those who need them the same day, which provides monetary relief quickly and when required. Privacy is of utmost importance to most people in this digital age, as so many incidents of identity theft happen each year. With a title loan, lenders do not need to run your credit history, which means there is no paper trail leading to your social security number. Unlike traditional lending, taking out a title loan is relatively easy. First, a customer brings their car title in and we evaluate both whether or not they actually own the car and how much the car is worth. Once we are sure of those two things, we offer a loan for the worth of the vehicle. Should you accept, you get to keep your car, but we technically own the title until you pay us back the loan in its entirety. It’s as simple as that. Be sure to discuss the terms of your title loan with your lender. Much of the bad reputation surrounding title loans comes from a misunderstanding of the lending terms. Reputable title lenders, like Midwest Title Loans, will make sure their customers understand the terms of the loan before allowing their customers to sign off on anything. 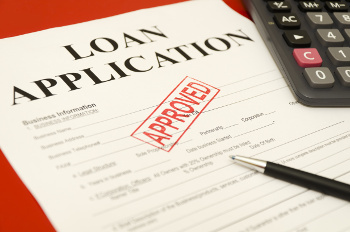 Repayment periods will take less time than traditional loans. This is normal. While this means you might pay more month-to-month than a conventional lender, you ultimately will pay less. The title you bring in for collateral must belong to you for you to receive the full worth of the car. Otherwise, we reserve the right to deny you a loan, or we can offer you a loan for the value of the vehicle minus the amount that we paid to get the title from a dealership. The benefits of a title loan are many. Luckily for Kansas and Missouri residents, Midwest Title Loans has made a reputation out of providing caring, quick, and comprehensive title loan services. For more information, contact us. We look forward to hearing from you.